It’s always nice to see an artist’s unique talents showcased. 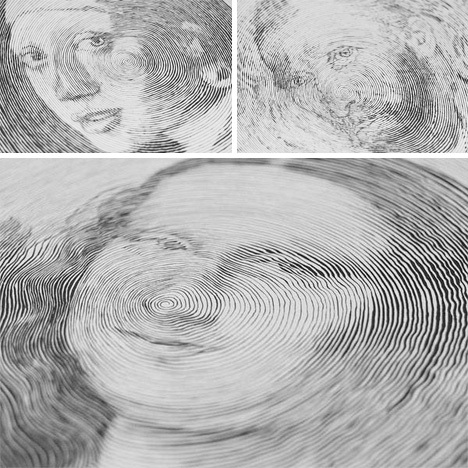 Hamburg, Germany-based artist Chan Hwee Chong is definitely a talented artist, and his incredible spiral portraits were the subject of a recent commercial for Faber Castell art pens. In the commercial, Chong is shown creating an incredible spiral drawing of the masterpiece painting Girl With a Pearl Earring. The ad is meant to display how precise the Faber Castell pens are, and it definitely does that – but it also illustrates Chong’s remarkable skill. 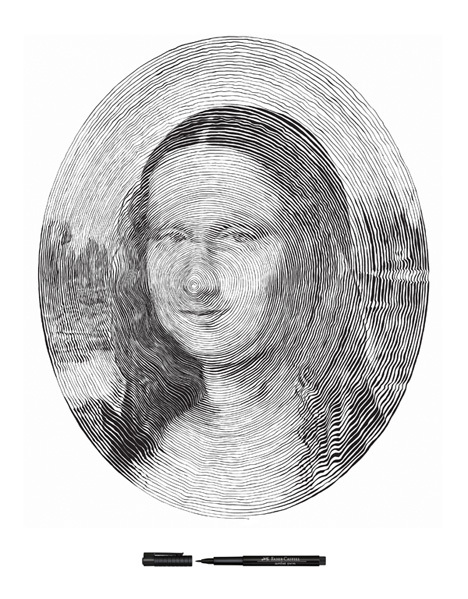 Beginning with a blank sheet of paper, Chong begins in the middle and draws in an ever-growing spiral, adding detail and subtle movements as he goes. 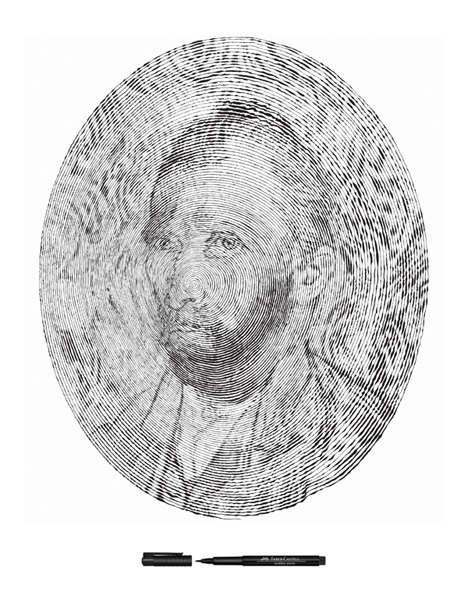 By the time he has reached the outer edges, he has somehow recreated a famous painting. Watch the video as many times as you like – you will almost certainly be amazed each and every time. This awesome display of talent is kind of humbling, even to other creative types. It is absolutely mind-boggling to think how Chong accomplishes these drawings. 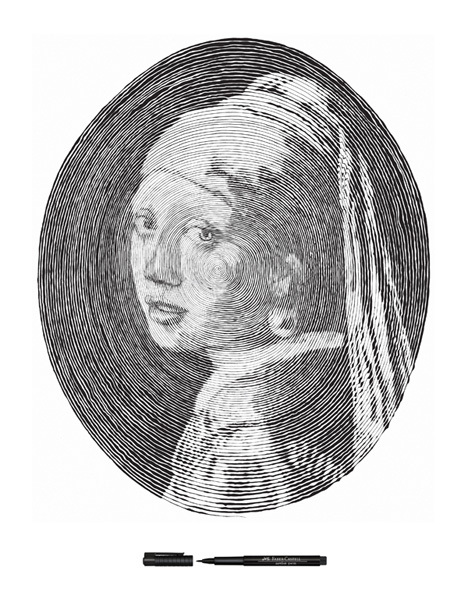 He incorporates texture and varied line thickness to create the kind of depth that is difficult to find in any pen drawing – let alone one drawn in spiral. Besides Girl With a Pearl Earring, Chong also recreated Mona Lisa and Van Gogh’s Self Portrait for the Faber Castell campaign.